Ideally, taking a holiday leaves you relaxed, refreshed, and ready to get back to reality. Sometimes, however, failing to plan correctly before departing can mean spending your hard-earned free time feeling stressed, exhausted, and possibly even sick. It is important to do a little research before embarking on your holiday, especially if you will be traveling to unfamiliar places. It's a good idea to see your physician for a complete check up to be sure that you are healthy and able to participate in all of your planned activities. Additionally, if you plan to travel to a developing country or a tropical location, ask in advance about any recommended vaccinations or medications that you will need. For example, travelers to Africa, Thailand, and India should begin a course of malaria tablets four to six weeks before departure. Malaria can be deadly, so getting on anti-malarial medications is imperative. While you are scheduling appointments, make one to see your dentist, too. Untreated decay can be especially troublesome on airplanes, where air pressure can make body cavities expand, most notably those of the ears, sinuses, and teeth. Wise travelers assemble a few basics before heading out the door. Pain and fever reducing medication, antihistamine tablets, a thermometer, sunscreen, and anti-diarrhea medicine are the basics, but depending on your destination, you may want to pack additional items. Water sterilization tablets can be useful since one sure way to ruin your holiday is by contracting a case of "traveler's diarrhea." Children can have especially sensitive stomachs, so if you are traveling with youngsters, be cautious about allowing them to drink anything but factory-sealed beverages. For babies, be sure to pack some commercially prepared infant formula if you are not breastfeeding. Insect repellant is a must in some locales, and the ones that offer the best protection contain DEET. For youngsters, be sure that the percentage of DEET does not exceed 20%. Infants under two months of age should not be treated with insect repellant, so be sure to cover their skin well to avoid bites. 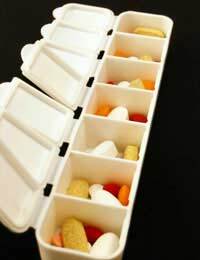 If you take prescription medications, it is wise to pack an extra supply -- one in your regular baggage and one in your carry-on. That way, if the airlines lose your luggage, which they are prone to do, you will still have convenient access to your medicines. Keep a listing of all of your medications with you, as well as contact information for your GP; if you need to have a prescription refilled while traveling, it will make it much easier to do so. Although you are certainly going to be a bit excited in anticipation of your trip, be sure to take good care of yourself beforehand. Eat sensible, nutritious meals and be sure to get your rest. Even the best holidays can be a bit taxing, so be sure to start out in your best condition. Once you are on your way, you'll still need to make good choices in order to remain safe and healthy. Beware of dehydration, it can really zap your energy and lower your resistance to everything from jetlag to infection. So be sure to sip plenty of fresh, clean water on the airplane. Drink before you feel thirsty; by the time you feel the need, you are already mildly dehydrated. Also, make an attempt to get up and move about the plane. Not only will you help yourself to feel a little more alert, but you will minimize your chances of having your legs and feet swell, which can be painful and sometimes even dangerous. If you are taking a long flight, try to get adjusted to the time change as quickly as possible. Make an attempt to eat and sleep according to your destination's time zone so that you will waste as little precious holiday time as possible feeling out of sorts. Finally, upon arrival, be sure to maintain your healthy habits. Use sunscreen with a sufficiently high SPF factor and reapply it frequently. For children, be sure that the SPF factor is at least 40. You packed some insect repellant, so be sure to use it as necessary. Maintain your hydration by choosing bottled water and fruit juices. Avoid tap water and ice cubes, especially in undeveloped areas. Wash your hands frequently; if fresh water is scarce, make use of antibacterial hand gels, which are widely available. Packing properly for a holiday can make all the difference in the world. So take a few extra items along -- most importantly, be sure to pack your good, common sense. You might also want to take a look at the Foreign & Commonwealth Office’s Travel Website offers travel advice by country to help you prepare before departure and is worth a visit, especially if you are going to a high risk desitination.